How to develop basic simulation models. How to develop simulation model of electrical circuits. How to improve analysis, formatting and result reporting. Learn how to simulate power electronics converters with the help of MATLAB software. It covers simulation of all basic converters including chopper (DC/DC), Inverter (DC/AC), Regulator (AC/AC) and phase controlled rectifier (AC/DC) Converter. It includes designing power circuit and control circuits both. It also covers how these simulations can be use for effective analysis and better understanding of power electronics circuits. 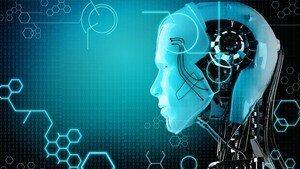 It includes ready simulation files of more than 25 power electronics circuits. 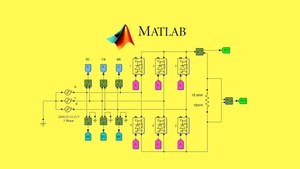 Required MATLAB software to practice & learn. 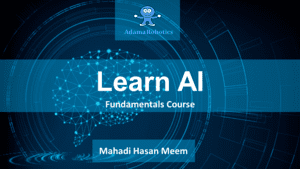 Required basic knowledge of electric circuit theory & electrical components(resistor, inductor and capacitor). 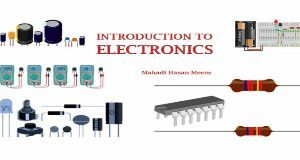 Basic knowledge of power electronics converters is required; however this course also covers basic operation of converters. It is best for final & pre-final year students of electrical, electronics & power electronics engineering branch. Course will be very useful to the post graduate students for their dissertation/project work. Course benefited most who wish to work on power electronic based project. Attached simulations can be used as laboratory experiments alternative to physical hardware practice. Dr. Jignesh Makwana has started their academic career in 2004. He received Phd degree in Electrical Engineering with the specialization in power electronics & drive from Indian Institute of Technology Roorkee in 2013. His interest and enthusiasm for teaching & learning, research & development and innovations in all fields lead him as good contributors in academic field and expertise. He has vast academic experience with various reputed universities & institutes. Dr. Jignesh Makwana has international exposure of visiting several countries and representing expertise in field of power electronics converters, artificial intelligence, renewable energy, etc. He published numbers of research papers in international and national conferences and reputed journals. He guided numbers of UG and PG students for their dissertation and project works. He is founder & owner of RhyMak Electronics which involves in design and development of electrical vehicles & accessories and electronic products.